He said that many of the 100-200 letters and cards are from teenage girls who are swooning over Cruz, offering him support or friendship. Older women and men have written to Cruz as well, and some have enclosed photographs that are sexually provocative. The girl then provided Cruz with a description of herself, including her bra size. She drew hearts and smileys on the envelope. One woman from Chicago sent Cruz photographs of herself in a bikini as well as a close-up of her backside. Officials at the Broward County Jail open all the letters, and anything that is deemed obscene or a threat is returned. Cruz does not personally read any of the correspondence, and his defense attorney says that only the letters that contain prayers for his soul and exhortation to get right with God are read to him. According to reports, Cruz requested a copy of the Bible, but it has not been provided as he is in isolation on suicide watch. 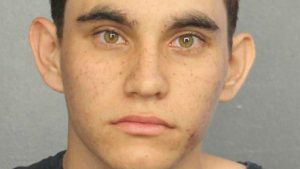 Finkelstein said that he is concerned that “everyday boys and girls are starting to view him in an elevated way, looking up to his fame and notoriety.” In addition to receiving cards and letters, an estimated $800 has been sent to Cruz’ commissary account, and groups have also been formed online that contend that Cruz himself is a victim because he suffered with mental illness and was bullied. Some letters and online posts recognize that what Cruz did was wrong, but express a feeling of being drawn to him as they worry about his well-being and want to offer themselves as a pen pal. Finkelstein said that he is allowing outlets to view some of the love letters from teenage girls, as well as the suggestive photographs, to show the ongoing “awfulness” of the matter.